In a food processor, process Cheerios™ until they are fine crumbs. 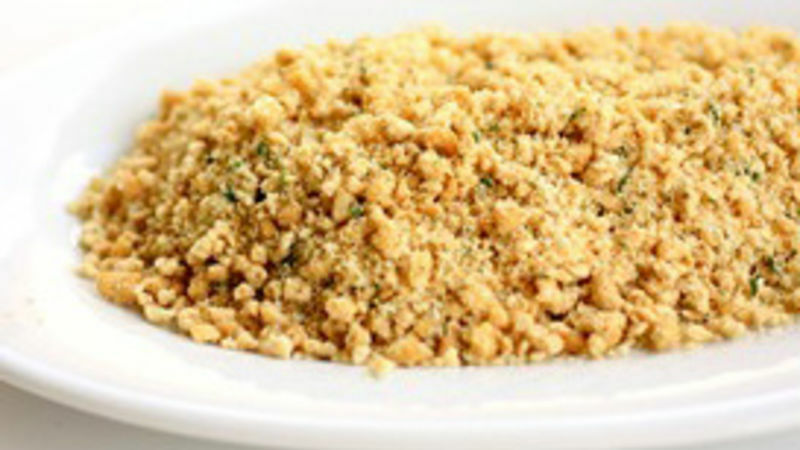 In a medium bowl, add crumbs, melted butter, Parmesan cheese, garlic powder, and parsley and mix until combined. Sprinkle over a 9x13 casserole and bake according to casserole instructions.